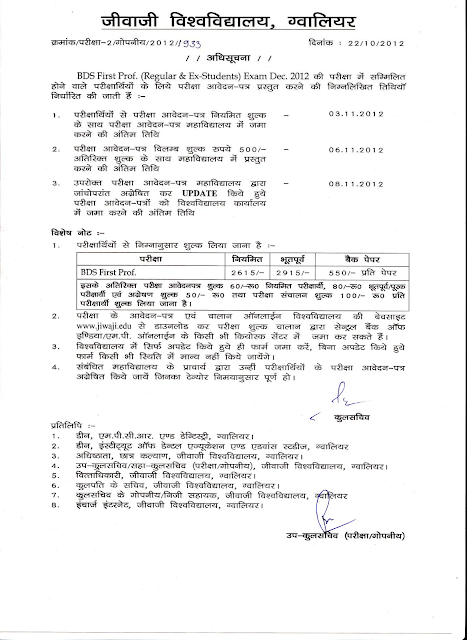 Jiwaji University - Gwalior had announced Time Table Of B.D.S. First Prof. Regular Ex-Students Exam December 2012.